To share this page, copy ﻿http://www.JeffResnick.com/s6.html﻿ and paste it into your social media posts! So one day we were playing on the beach, swimming everyday, eating the most incredible food, enjoying an amazing idyllic childhood. One great big beach holiday! And the next thing we were at Heathrow airport on a chilly early Saturday morning in the UK. I remember I was holding my Mum’s hand and thinking, ‘What are we doing here Mum?’ It’s cold, and there are so many people here, and there's no jungle! Its all concrete! You see my Father emigrated from India to Tanzania in his early twenties with his younger brother seeking a new life, new opportunities. His Father was already in Tanga so it was a little easier for him. The trip in those days was hazardous, to say the least. The journey was by sea and the ‘Ships' were a little dubious, as some of them didn't quite make it to their final destination. My lovely dear Mother stayed behind with my elder brother whilst he made preparations for their arrival. A few years down the line, My Sister Rani arrived followed by someone named Harvinder, the wildest, naughtiest child in Africa! ‘Mowgli’ would have been a pretty good description. My musical journey began at a very early age. We used to have tickets booked at the local cinema every Saturday evening where they showed all the latest Bollywood films. These were three hours long with the most amazing musical scores you could imagine. You could hear everything from the traditional Indian Bollywood tunes to some of the most incredible Jazzy, Funky tunes with elements of Latin, Brazilian, and Afro themed music packed into those three hours. This is where my musical journey of inspiration started. As I grew into my teens, my interest in collecting music began, so I used to frequent many of the famous and not-so-famous shops that you could find in London in the late 1970's , 1980's, and 1990's. It was in the late 1980's that I discovered Honest Jons Records on the famous Portobello Road in Ladbroke Grove. One day, the owner Mark asked if i would like to work there on the weekends and of course I said ‘yes!’ I used to be in there so much I think he thought he might as well offer me a job as I kind of knew my stuff, musically speaking. To cut a long story short, this is where I came across this incredible record which had a picture of a man creating some pottery and, on the other side, a beautiful young lady doing something artistic that I didn't really understand! Anyway, I put the needle on the record and POW! INCREDIBLE! Tune after tune, Mesmerizing, Energizing, Hypnotic in some cases, composed, arranged and produced by someone named Jeff Resnick, whom I had never come across in my record collecting days. Anyway, there went my week’s wages! Money well-spent for some amazing music! Thank You, Honest Jons Records. This record now is a Holy Grail record amongst the vinyl collectors across the world. Fast forward many, many years later and ‘Mowgli’ has now decided finally to set up his very own record label called Outernational Sounds. I had already been a DJ, Record Producer, Vinyl Collector, and Radio Show Host for many years. My first release was an Indo Jazz album from the 1960's called Raga Jazz Style By Shankar Jaikishan. I have always said to myself that if I ever got a chance to reissue Jeff Resnick's SAC, School For American Craftsmen, I would jump at the chance. I managed to track Jeff down and lo and behold a wish, a dream came true. Thank You, Jeff, for this amazing piece of work. The Concept, The Titles, The Incredible Story of how it just all came together, and last but not least, the Music itself. Just Incredible! I would like to think Jeff and I have made a connection, although we have only spoken on the telephone, but I was lucky enough to get some Positive vibes from Jeff. I won't spoil the surprise by telling you too much about the individual tracks. It’s impossible to do, as every time I listen to this album It takes me on a different journey. Go forth and discover what’s in store. Recorded from original masters on heavy duty 180-gram vinyl only, with everything reproduced as close as possible to the original release. Come with an open mind! Now available on Outernational Sounds with Jeff's blessings! Exclusive Worldwide Distribution by Honest Jons Records. 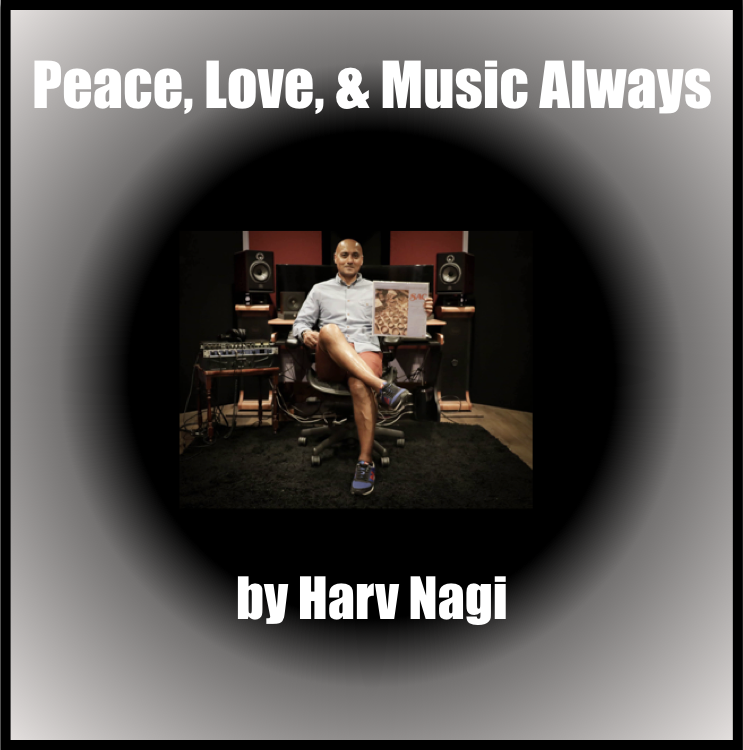 Peace, Love, & Music Always!